If you are looking for a small community feel, within close proximity to the conveniences of the big city, look no further than Farmer’s Branch, Texas. Now an inner-ring suburb of Dallas, Farmer’s Branch began as an agricultural community with its rich soil and farmland. In recent years, it has built a reputation for being a large, diverse business community and having state of the art recreation activities. The population of Farmer’s Branch is only around 29,000, but because it is an excellent transportation hub, the city has been able to attract over 4,000 companies and is home to 250+ corporate headquarters. Since businesses make up a large percentage of the tax base, residents enjoy a very low city tax rate while still having many quality services and excellent public safety. Aside from businesses, Farmer’s Branch is also very well known for its parks. With 28 parks in only 12 square miles, Farmer’s Branch garnered the nickname “City in a Park.” These parks along with multiple sports facilities, rec programs, and many festivals contribute to the excellent quality of life enjoyed by residents of Farmer’s Branch. Year-round warm weather makes Farmer’s Branch a sought after location for people who don’t like snow. While this area can experience periods of extreme cold during the winter, they are usually short-lived, and mild winters are the norm. These mild winters lead to hot, humid summers and come with their own problems, namely lots of bugs. Residents of Texas know that everything is bigger in Texas, especially the pest population. Ants are one of the biggest year-round problems that face residents in Farmer’s Branch. Along with annoying ants, dangerous spiders like black widows and brown recluses also love the hot, humid climate. With the recent outbreak of Zika and West Nile, mosquitos have also become a more talked about pest, and the population is being watched closely by city officials in hopes of preventing further spread of these illnesses. Lastly, bed bugs have also made a huge comeback due to the large number of travelers that come through the Dallas-Fort Worth area. Fortunately, people who love the area are willing to deal with the unwanted pests, as long as they have help controlling them. That’s where we come in! 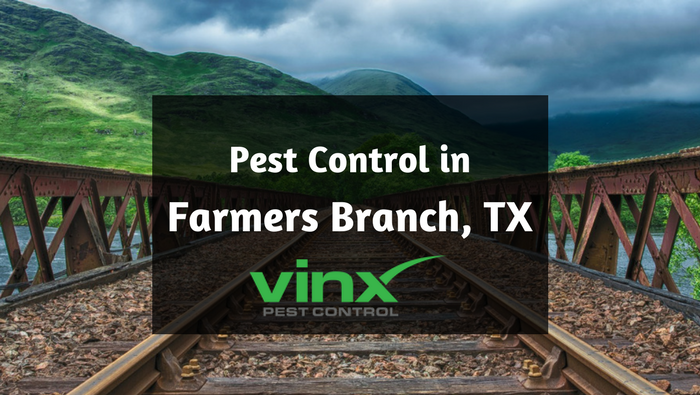 Vinx Pest Control is proud to serve the residents of Farmer’s Branch. We use top quality products that are safe and long-lasting, have highly-trained technicians, and offer the best guarantee in the industry. If you start seeing any of those unwanted spiders, ants, roaches, etc. between your regular treatments, we will come back at no cost to you. If this happens more than twice between treatments, we will refund your money. You can feel safe and confident knowing that Vinx Pest Control has your home and family covered. 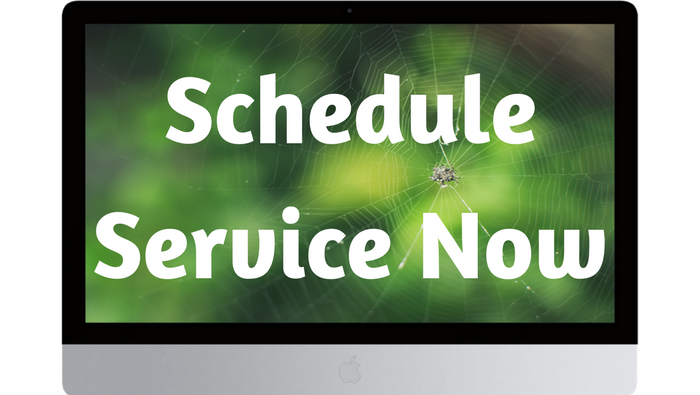 We will take care of the pests so that you can keep enjoying the city that you love.